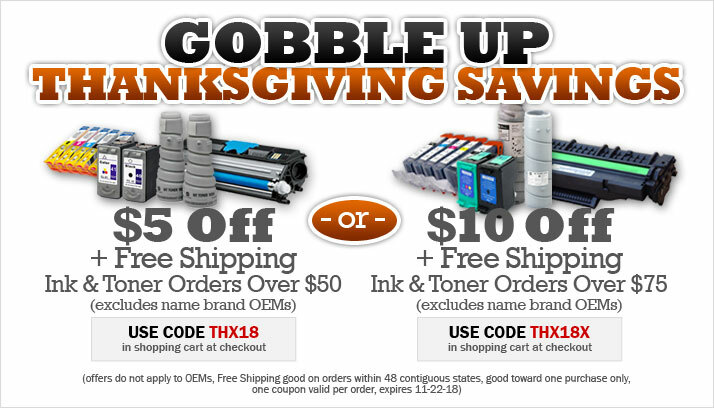 Ink4Less is serving up great savings this Thanksgiving. Spend $75 or more and get Free Shipping plus $10 Off remanufactured and compatible replacement ink and toner orders (excludes OEMs). Some restrictions apply. Discount does not apply to OEM products, Free Shipping good in 48 contiguous states, good towards one purchase only, cannot be combined with any other offer. Offer available Friday, November 16th 2018. Expires Friday, November 16th 2018.